The west coast of Greece and the Ionian Sea archipelago wouldn’t be as rich and shiny as they are without this diamond. The beauty of Lefkas is in its diversity. This island is famous for its impressive nature such as green fields, stunning mountains and beautiful sandy beaches, and it offers a variety of places to explore on your charter yacht. According to Greek mythology, Lefkas is a place of birth of Aphrodite, the goddess of love and beauty, which is something you can definitely feel on the entire island. 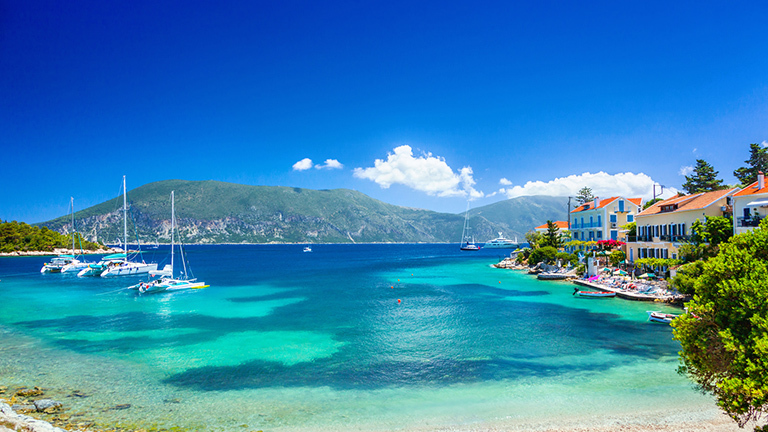 The colorful Lefkas is connected to the continent by a bridge, but is still called the Ionian’s most untouched destination. 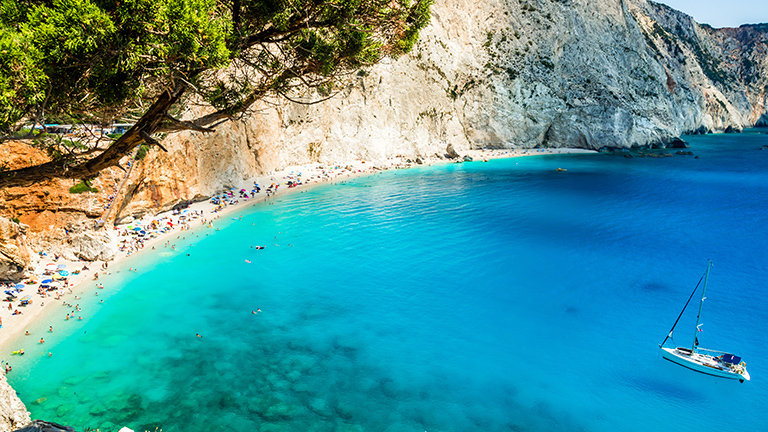 Charter a yacht in Lefkas and discover some of the most fascinating beaches in the world on its west coast, such as Porto Katsik and Kathisma. On the east side of the island, there are relaxing seaside villages and striking deep bays with beautiful ports, such as Si - a place popular among yacht charter groups. On the south of this precious Greek island is Vassiliki, also known as ‘’the fishing village’’, loved by everyone who likes water sports. Arrive to Aktion International Airport and head to the Port of Lefkas. 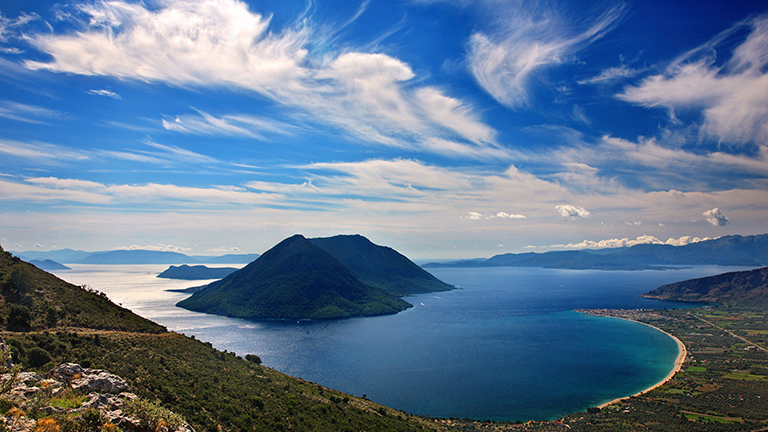 After check-in, charter a yacht and head to the picturesque island of Meganisi located 11 NM to the south. Moor in the village of Vathy or Spartochori. Take a swim in blue-green water and lounge on Agios Ioannis, Fanari, Spilia and Barbarezou beaches that are accessible by foot or choose secluded ones that are accessible only by boat. Have lunch and dinner in fish taverns. Take a walk along the beach promenade in the evening. Some researchers think that Meganisi is the Homeric island of Krocylea, a part of Odysseus’ kingdom. In the morning, sail around 16 NM to the east towards Kalamos, the largest of islands in this region. While approaching, you will get magnificent views of island’s high peaks and steep slopes. Moor in the Port of Kalamos that provides a good shelter from winds (except eastern winds that can cause problems) or in Kefali (Porto Leone), a gulf on the southeast of the island with an uninhabited village. Stroll around narrow streets or take a bike to the south of the island and see old mills, houses in ruins and peaceful nature. A secluded beach Ios Kalamos is perfect to enjoy the sun and swim in the crystal-clear waters of the Aegean Sea. 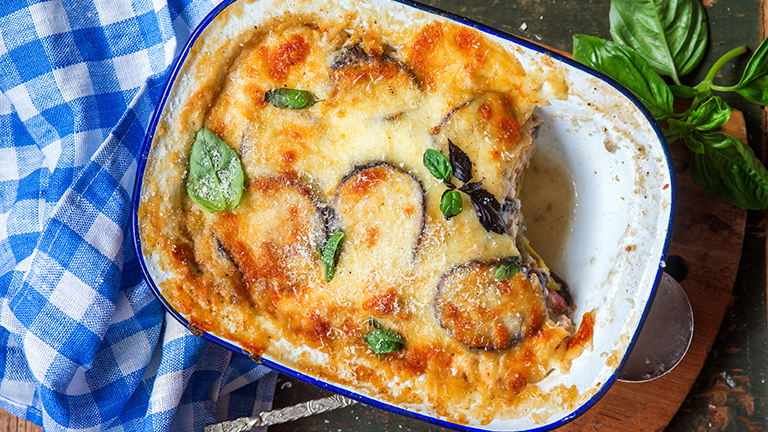 Try Greek salad or traditional Moussaka. 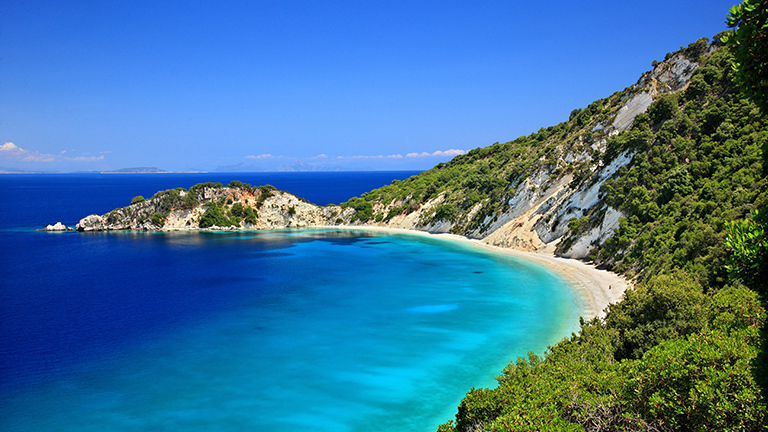 Just 6 NM south from Kalamos is another small and unspoilt olive-covered island of Kastos. The main harbor offers a good shelter from most directions and is never crowded. There are only a few bars and restaurants that are open only during summer. The beaches are mostly empty making them ideal for switching off for a couple of hours. It is easy to connect with locals since there is only around 50 inhabitants of the island. Make sure to try sage tea popular with Greeks. 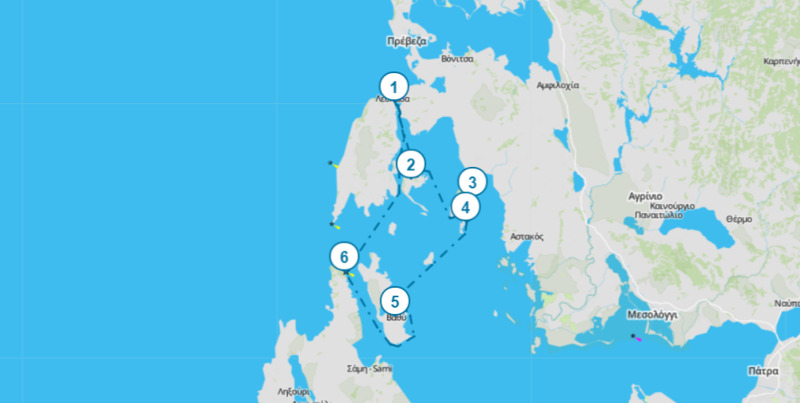 After a morning (iced) coffee, sail 17 NM southwest and you will reach the mythical island of Odysseus - Ithaca. Ideal for families and romantic couples, the island offers a lot - from lush greenery, clean waters, plenty of bays and amazing pebbled beaches such as Filiatro, Sarakiniko and Agios Ioannis to authentic tourist villages of Vathy, Kioni and Frikes with rich history. Visit museums and ancient ruins. Relax with a glass of fine Greek wine. Around 16 NM northwest is the biggest island of the Ionian Sea - Kefalonia. While you approach the island, you will see law-protected dense forests and seven small bays ideal for swimming. Moor in Fiskardo, a lovely old port village and a two-kilometer long bay. The village has become a small family-friendly tourist industry with luxury villas. You will be able to relax on plenty of pebbled beaches. Visit the Nautical Museum and learn about nautical environment and how to protect it. 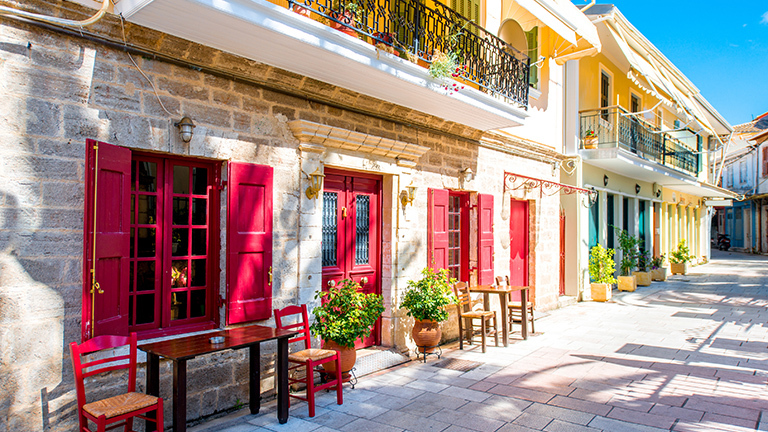 There are a lot of summer activities, a lot of shops, taverns and bars for enjoying Greek cuisine (try swordfish, octopus or Gyros). Prepare for a 26 NM long journey back to Lefkas where you started your holiday. 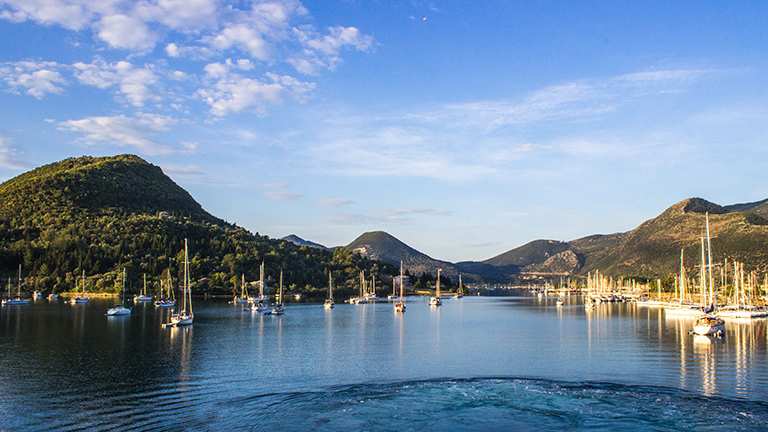 Lefkas, with its impressive landscape and friendly attitude, has something for everyone - couples, friends or families. Porto Katsiki, Kathisma and Egremni are beaches famous for their deep blue color of the sea and the most photographed places in Greece. Try some watersports and windsurfing. Visit the Waterfalls of Nidri and the Monastery of Panagia Faneromeni on the hill above the town of Lefkas. Cycling tours on the hill can be organized. Treat yourself with local dishes, especially fish. Lefkas offers night venues, so make sure to experience it during your last night. Wake up in the morning, enjoy your breakfast on a yacht and get ready for a check-out. Take a stroll around town, enjoy a cup of coffee, have lunch in town and buy some souvenirs. Soak up the sun and the smell of sea. When you are ready, make your way to the airport. 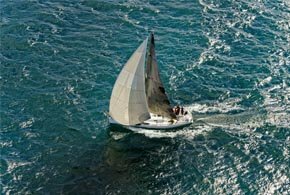 Interested in Sailing Holiday in Lefkas?